At the launch of the Samsung Galaxy S8, Samsung introduced an Infinity Display screen – a curved screen with a thin frame. At launch, Samsung is the only device with the most non-stick screen ratio. 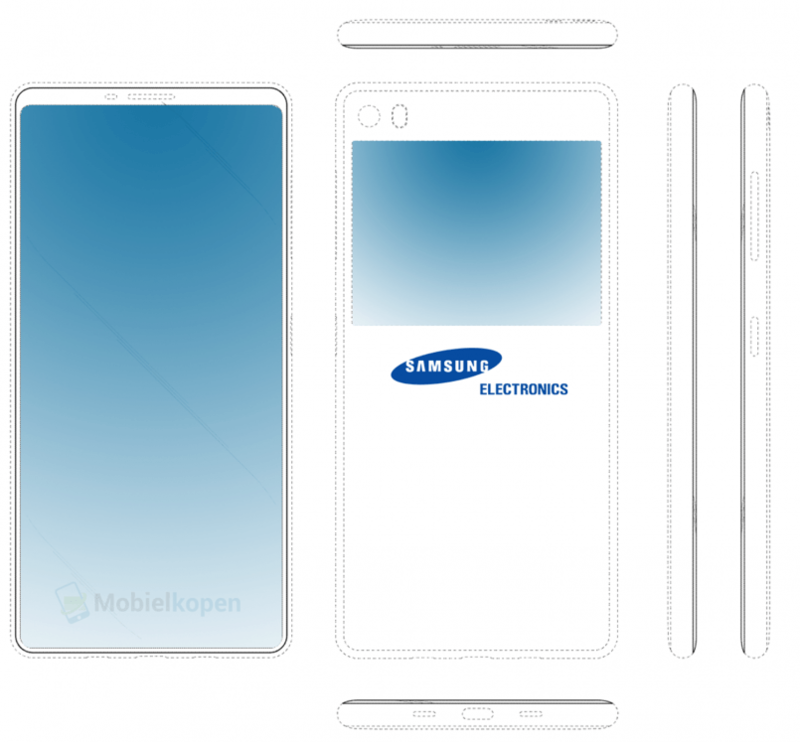 Most recently, according to sketches of Samsung’s patented patents – a device with a thinner frame is shown. This is probably the new generation of Infinity Display screens. 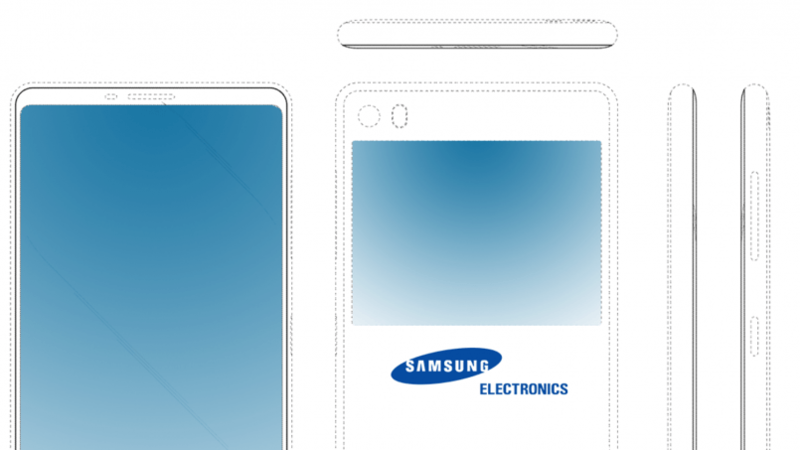 Additionally, this device may also have a secondary screen in the back panel of the device. This is also not the first device with a secondary screen – we’ve seen the presence on the Meizu Pro 7 and also Yota Phone. Not sure if this is the design for the upcoming Galaxy S10 or even one of the Galaxy Note series designs for future launches. Anyway, we’re looking forward to Samsung’s innovative device in the future.